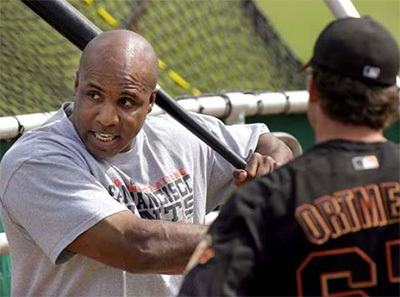 Miami Marlins hitting coach Barry Bonds, baseball's home run king, made it clear "I'm a Hall of Famer" at an introductory news conference Saturday. Bonds, in his familiar No. 25, wore a major league uniform for the first time in nine years this week -- aside from a week-long stint as a guest instructor with the San Francisco Giants two springs ago.